It's one of the most controversial topics in the city: What to do about the city's wealth of Confederate statues, as many cities around the country get rid of theirs. Artist Noah Scalin and Cheats Movement founder Marc Cheatham offered one vision last November: an image of the Lee monument pedestal minus the Confederate commander, a man who once voiced opposition to memorial statues to Confederates: "I think it wiser … not to keep open the sores of war." The image was featured prominently on hoodies and shirts, printed at Triple Stamp Press, with 15 percent of the profits going to Richmond Peace Education Center. Cheatham tells Style it sold more than 150 hoodies and gave away 175 and sold out of the first run within days. The T-shirts will be on sale until the fall. Scalin told Style he was inspired to create the image after seeing the empty Confederate pedestal in New Orleans. 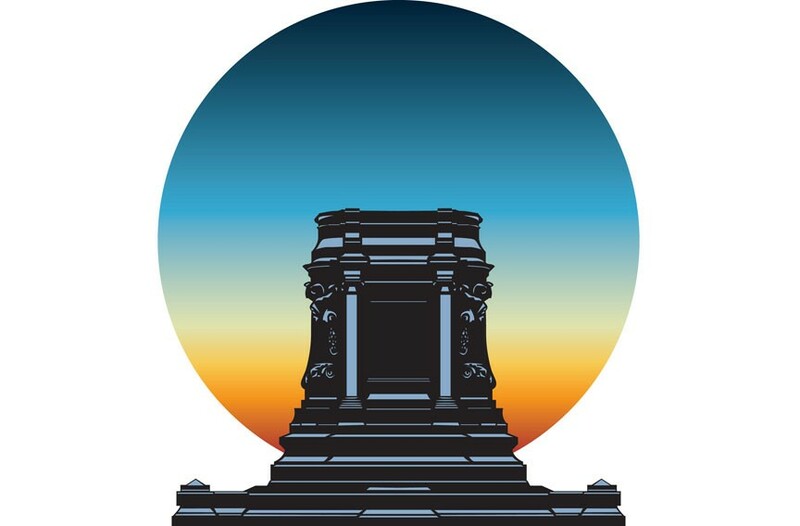 "I wanted to make an image that normalized the idea of a Richmond without the monuments. I feel like many people are afraid of change, but they can embrace it better if they can see what it might look like," he explains. "For me, the colors of the background has two meanings: It's the sun setting on the old Richmond and its veneration of the Confederacy as well as a representation of the diversity and inclusion of the new Richmond that's being built right now."